Sonic Drive-In is a fast-food restaurant in Oklahoma. It serves mostly hamburgers, corn dogs, onion rings, French fries, and soda. As of 2017, there are more than 3000 branches across the US. Founder Troy Smith Sr. first worked as a milkman, following the Second World War. Shortly thereafter, he opened the fast food restaurant, although it was formerly known as Troy’s Pan Full of Chicken. It was renamed as Sonic in 1959. 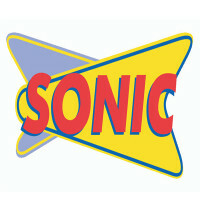 Sonic Beach, a branch of the main company, opened in Florida. Like the mother company, this drive-in resto offers burgers, fries, and soda. The additional menu items are beer, wine, cheesesteaks, and sandwiches. The benefits that employees get depend on their position. These perks are dental and vision benefits, medical insurance, life insurance, 401(k) savings plan, health care reimbursement, flexible spending accounts, and paid time off, among others. The company is often described by employees as one of the “best training grounds” for entry level and managerial job candidates. A day in the restaurant is fast-paced, given the numerous guests they welcome each day. To work at the restaurant, you must be at least 16 years old. You should also be available to work during weekends, holidays, and some evenings. There are oftentimes a shift in function and tasks, whenever extra help in other departments is needed. The company offers competitive salaries and promising promotions to qualified candidates. Be guided by the tasks and qualifications required in each position. Note that the complete details are found in the career section of the company’s website. The cook is in charge of preparing food items for the menu and ensuring that each meal meets quality standards. He prepares meals mostly using the grill method, and knows how to operate cooking equipment. He also disposes of trash and checks the sanitation of utensils and his working space. The carhop helps the restaurant meet its standards, especially when it comes to food. He provides a friendly presence and greets customers warmly. He serves guests in a timely manner, and takes orders accurately. He clears trays, too. He must be able to work with an element of surprise and delight. The crew member takes orders and gives accurate change to guests. He is an energetic person who provides a hospitable service. He greets customers and makes sure they are comfortable. He prepares meals and desserts, and maintains the cleanliness of the restaurant. As a communications manager, the candidate’s primary tasks are to contact media partners and represent the company brand in promotions and other PR efforts. He must be able to create and develop feasible PR plans. He thinks of strategic marketing plans. He coordinates efforts to ensure the compliance of the IT department to secure the integrity of data. He helps in defining control objectives and in meeting compliance efforts. He should be knowledgeable in risk management, IT procedures, PCI, store assessment, and incident response. The analyst works with the cyber security technician in meeting the team’s control objectives. He assesses security safeguards and prevents breaches of security and compromise of data. He works closely on IT projects and helps the team choose the best security controls. This job requires the candidate to perform supervisory responsibilities. He serves the company’s QA lead in product innovation, development, and sales. He checks if the company meets state standards concerning food and sanitation. He seeks to improve the quality of products and considers various customer reviews. He checks with utmost fairness the food quality and handling procedures. The platform engineer is capable of writing source codes and conducting troubleshoots. He assesses existing programs and suggests for additional features in the apps used and developed by Sonic. The candidate must be knowledgeable in Web application containers, Spring Technology, messaging systems, and dynamic computer languages. The manager knows how to negotiate and implement category contracts. He also develops sourcing strategies to achieve financial targets. He prepares a detailed financial report and copy furnishes Supply Chain Management, franchisees, and Senior Management. Qualified candidates have good decision-making skills. The staff accountant’s job is to monitor the media accounting cycle and monthly maintenance records. He checks the inventory and prepares a well-written financial report. He analyzes documents and consolidates accounts payables. A bachelor’s degree in Accounting is required. CPAs are encouraged to apply. To apply for any of the jobs above, simply go to the careers section of the company’s website. There’s a filter that allows you to choose the category for the job you’re looking for. Once you’ve seen the job you want, scroll down and click Apply. You will be transported to another page, in which you will be told which location the job is available. The Get Started button will ask for your personal information and a 4-digit PIN. Next, you will be asked to upload your resume and/or your cover letter. You may also appear at the restaurant location or in the company headquarters to personally give your resume. Keep your resume simple. Provide a clear objective. Write a summary of your skills, certifications, and strengths. Write only relevant prior work experience and awards, if any. Check on your application from time to time. It may help to call the company hotline and follow up on your application. You will either get an email or a call, notifying you of the interview schedule. Employees know the culture of productivity in Sonic Drive In. Since the products are fast moving and the guests keep coming in, there is no time to be idle. The company believes in working efficiently while having fun. One of the major bits of news that customers liked about Sonic is its launch of the mushroom-blended burger. It is by far the healthiest treat the restaurant has ever prepared, since the burger has fewer than 350 calories. The company is also known for serving almost 3 million customers daily. That, indeed, says a lot about how many people patronize the restaurant, and how much it has become an iconic fast food chain in America. To date, Sonic works for the communities. It strives to give back through its Animal Welfare and community programs, as well as its advocacy of diversity. The company also provides educational programs for kids. 1 How old do you have to be to work at Sonic Drive-In?